Sunk cost refers to money, time, or effort that has already been spent on a particular endeavor and that cannot be recovered. 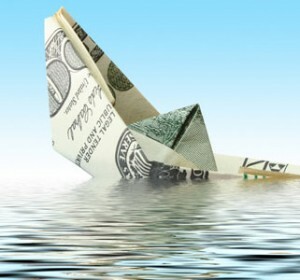 Economic principles dictate that sunk costs should not be considered when making decisions about whether to continue one’s present course of action or to divert resources elsewhere. Such decisions rationally should be based only on consideration of the anticipated costs and benefits of current options. For example, after 6 months of exclusively dating one man, a woman ponders whether it makes sense to maintain the relationship. Upon weighing the positives and negatives, she comes to the realization that continuing to date this same man will not allow her to achieve the quality of relationship she desires. That being the case, the clearly rational thing for the woman to do is to immediately terminate the relationship. Unfortunately, people do not always make decisions in accord with rational principles. In this instance, the woman may factor into her deliberations what she has already invested in the relationship. Perhaps she has put considerable time, effort, and money into helping the man update his wardrobe, tolerated many insufferable visits to his parents, and passed up opportunities to date more promising long-term partners. Although these prior investments cannot be undone or canceled out by staying in the relationship (or leaving for that matter), they often lead decision makers to choose to hang on to a current relationship despite knowing that it will never fully meet their expectations. This kind of irrational behavior has been described as throwing good money after bad. More formally, psychologists identify such behaviors as instances of the sunk-cost fallacy. Scientific demonstrations of the sunk-cost fallacy are numerous. For example, in one study some people were asked to imagine that they enjoy playing tennis, but that on one occasion they develop a bad case of tennis elbow, thereafter making it extremely painful for them to play. Their doctor tells them to expect to experience pain while playing for approximately a year. People were then asked to estimate the number of times they would play tennis over the next 6 months. Another group of people was presented with a similar scenario, but were additionally told to imagine that they had recently paid a $400 nonrefundable fee for a tennis-club membership, which expires in 6 months. If people were making a decision rationally, the two versions of the scenario should produce comparable estimates. Their decision to play tennis in both instances should be determined by an evaluation of the costs and benefits of engaging in this activity. If people believe that their enjoyment will exceed the physical discomfort, then they should decide to play. If they instead anticipate that the pain will sap any pleasure from the experience, they should logically choose not to play. Whether or not they paid the $400 fee should not influence their decision. Play or not play, that money is irretrievably lost and thus should be irrelevant to any decision to play tennis in the near future. However, people estimated that they would play tennis 2.5 times more in the situation in which they had paid the membership fee, thereby honoring sunk cost. Although the sunk-cost fallacy has been shown to be a fairly common judgment error, whether it occurs may depend on aspects of the situation and characteristics of the decision makers themselves. For example, people are more likely to fall prey to the sunk-cost fallacy in circumstances in which they feel personally responsible for making the initial investment in an endeavor. Also, some evidence demonstrates, interestingly, that adults are more susceptible to the sunk-cost fallacy than are 5- and 6-year-olds. This seems at odds with common sense because young children have more modest cognitive abilities to apply to any decision-making task and, therefore, should have even more difficulty than adults sidestepping maladaptive decisions. This finding, however, becomes more understandable once possible explanations for the sunk-cost fallacy are examined. One explanation for the sunk-cost fallacy is that people tend to justify their behavior. According to this self-justification account, people continue to invest in endeavors that are unlikely to produce desired outcomes because failing to do so could be interpreted as an admission that their initial decision to invest was a mistake. Abandoning the initial course of action could also make decision makers appear inconsistent. Neither of these possibilities is tolerated well, so people choose instead to escalate their commitment to the initial decision in a misguided attempt to reaffirm its “correctness” to themselves and others. This self-justification explanation receives support from the previously mentioned study showing that greater personal responsibility for the initial decision heightens the likelihood of the sunk-cost fallacy occurring. Another possible explanation for the sunk-cost fallacy is people’s desire not to be wasteful. “Waste not, want not” is a maxim that most Americans have been exposed to since childhood, and it may be that this generally beneficial rule is inappropriately applied in sunk-cost situations. That is, abandoning a failing course of action could be construed as wasting the resources that have already been expended. As noted earlier, children have been found to be less likely to manifest the sunk-cost fallacy. This may be because children tend to stay focused on the immediate consequences of their actions, whereas adults are sidetracked by abstract rules such as “Don’t waste,” which most of the time help simplify decision-making tasks. But in situations in which sunk costs are involved, the misapplication of well-ingrained rules on waste may only make it more difficult to ignore prior investments when deciding whether anticipated benefits outweigh anticipated costs for any given course of action. Arkes, H. R., & Ayton, P. (1999). The sunk cost and Concorde effects: Are humans less rational than lower animals? Psychological Bulletin, 125, 591-600.